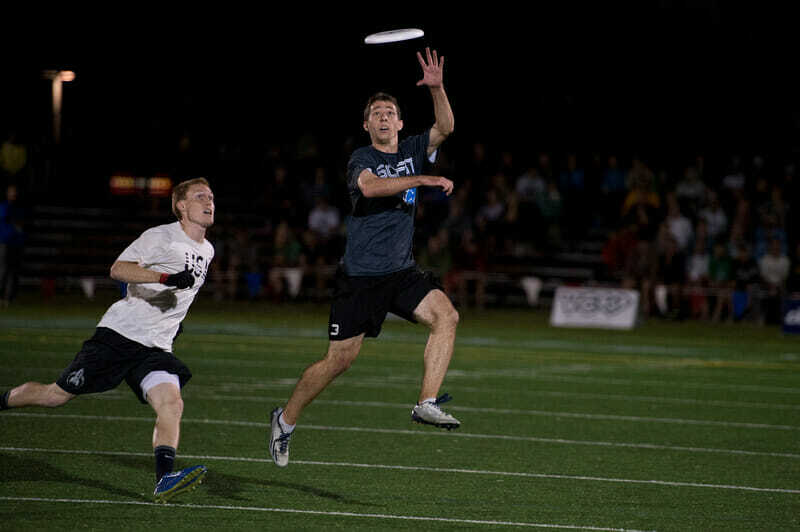 These seven players had exceptional seasons on the defensive side of the disc. 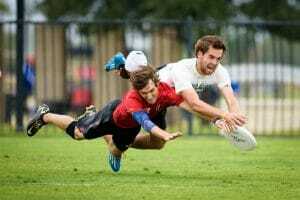 Since All-Club lists tend to show a bias towards the offensive stars of the sport, we thought it important to recognize the defensive players that often toil away without much credit. These seven players shone as defensive wizards throughout the regular season and postseason Series. Koss has been Sockeye’s defensive leader for years and the guy that makes things happen on a turn. But Koss’ lockdown defense is his calling card. No, David Cranston’s numbers at Nationals aren’t outwardly impressive (4G/2A/2D). But Cranston’s contributions can’t solely be seen on a stat sheet. Captain Cranston consistently guards the opposing team’s big man. Yes, that meant that at Nationals he was given the Beau Kittredge matchup, and by-and-large he did a fine job. Cranston’s defensive prowess and versatile leadership almost led Truck to a shocking upset of Revolver in quarterfinals. But Cranston isn’t the guy people talk about on Truck. It’s a thankless job, as you’re remembered much more for the times you’re scored on than the times that you prevented your man from getting the disc. But such is the life of an ultimate defender. As stated in an earlier article, Carroll might be the most underrated defender in elite club ultimate. Surprisingly athletic and possessing the innate ability to make the big play, Carroll is young but incredibly skilled. His 10 goals led all GOAT players in Frisco and he was typically their first look on a turn. But this is a defensive list, and Carroll has done more than enough to distinguish himself in that area for GOAT this season. Like the other members of this list, Carroll is usually given the most difficult assignment when matching up. Carroll doesn’t win those matchups all the time, but he does win them when it matters. 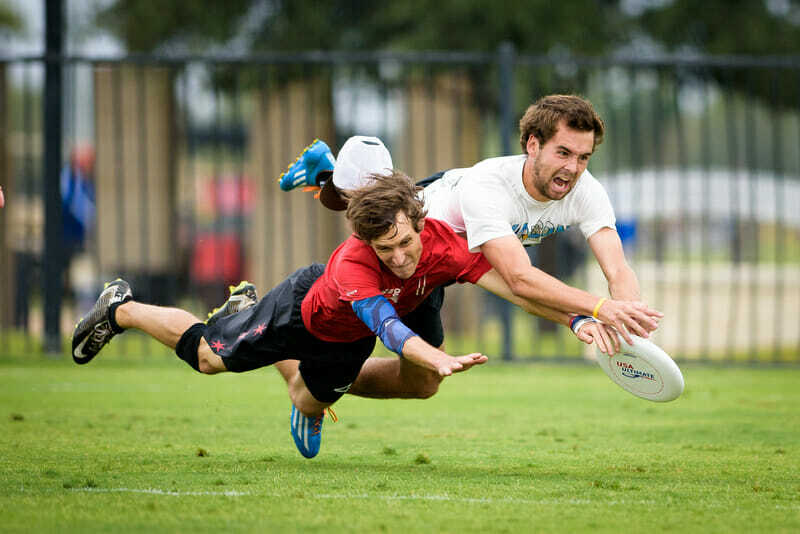 While Russell Wynne might be Revolver’s best defender, Dallman might be their most important. His leadership qualities are unquestionable, and his tenacity against opposing cutters is a joy to watch. 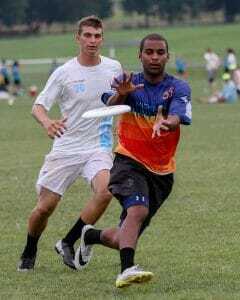 His six blocks put him near the top of the defense list at Nationals, and his seven goals and six assists were tops among Revolver defenders, a significant achievement considering how balanced the team is. Dallmann isn’t out there every point (Revolver typically has two separate D-lines), but when he is he has a tangible impact on the game. 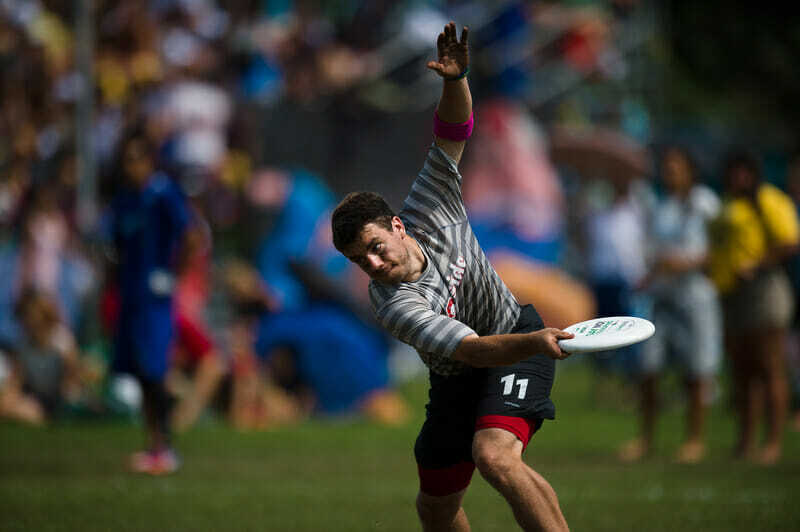 Peter Graffy broke out this past weekend on the club circuit, although he’s been a big name in the AUDL for a couple of seasons now. 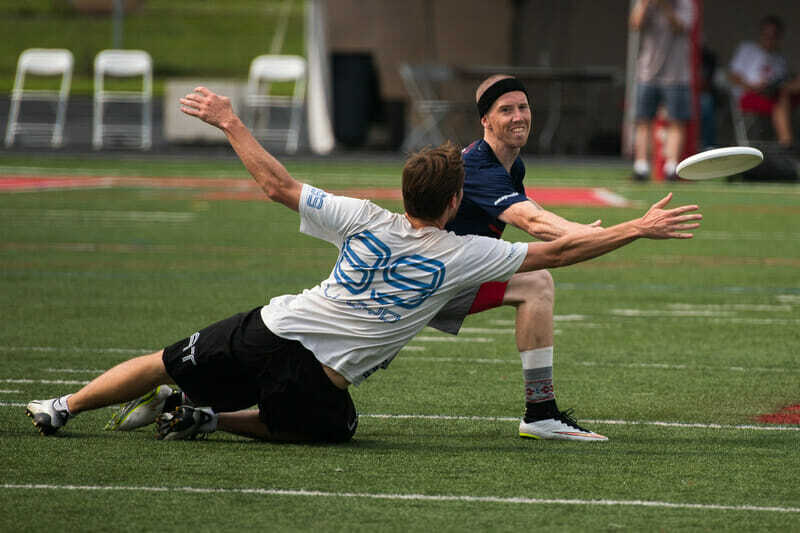 A controversial strip call vs. Machine notwithstanding, Graffy was a chief reason behind Club’s improbable quarterfinals run (and their near-upset of Sockeye). 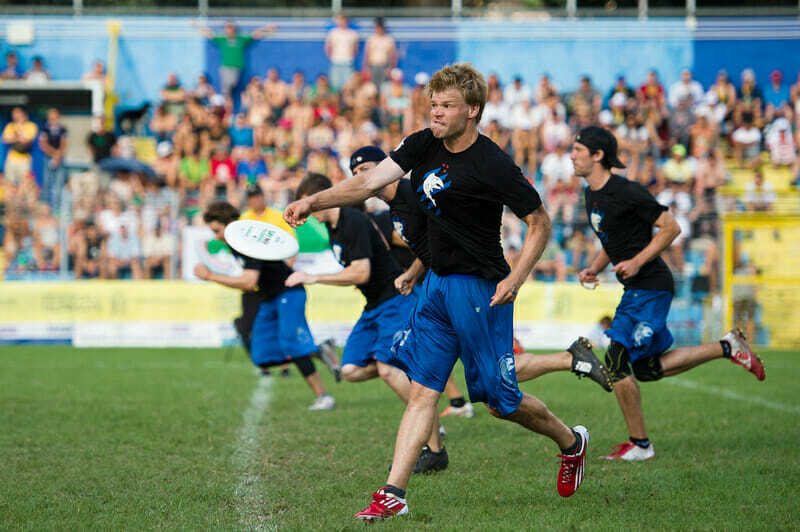 Graffy is an athletic freak. 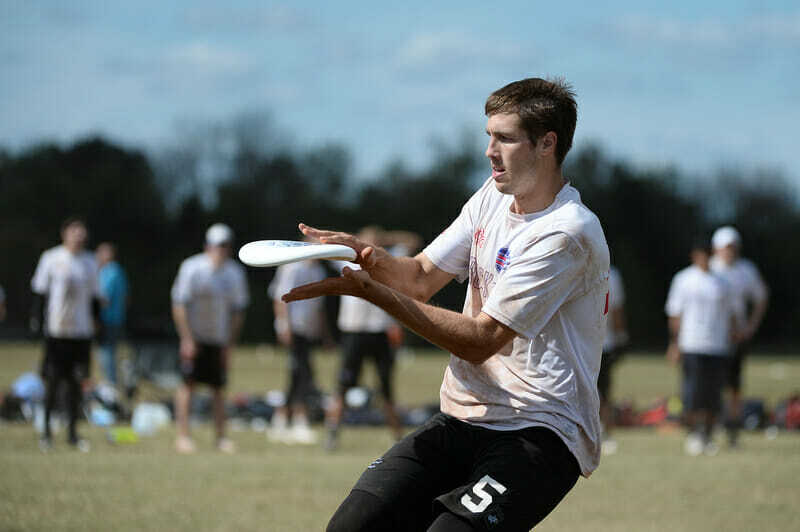 Behind Dave Wiseman, he’s Club’s big man and often takes the most difficult matchups, using his athleticism and disc IQ to generate blocks. While he was undeniably Robin to Eric Johnson’s Batman when the two attended Luther, Graffy is now an absolute force to be reckoned with. His six blocks, 10 goals, and 9 assists in Frisco are more than enough to attest to that. Christian Foster is often tasked with a tough, but essential job. While Jack Hatchett often takes the opposing team’s deep threat, Foster will simply get stuck with the toughest matchup. Whether it’s Kurt Gibson, Jimmy Mickle, or Cassidy Rasmussen, Foster is expected to grit his teeth and lock down. Like it is for most elite defenders, it’s a thankless job, one that deserves praise but rarely receives it. In Frisco, Foster was in fine form. Fiery and energetic, Foster delivers big plays that have a tendency to fire up his teammates. It’s telling that when Foster plays well, Ironside plays well. While Bansfield may get noticed more for his rocket launcher forehand, he’s earned his keep this season as a defensive stalwart for High Five. One of just six players with 6+ blocks at Nationals, he continued to be a defensive force in Frisco after an outstanding regular season. Bansfield has a knack for seeming like he’s out of position before quickly recovering to make an unbelievable play (like this absurd one against Machine). Of course, he is a major threat after the turnover with his array of blistering hucks. Although High Five underwhelmed at Nationals with a prequarters exit, Bansfield was a bright spot all season. Comments on "Ultiworld’s All-Club 2015: Top Defenders (Men’s)"